When it comes to counseling services, you have options. You never thought you’d be looking for a counselor. You did all the right things and honestly, on the outside, everyone would think you have it made. The truth is, things have been building up for a long time. Maybe you thought the anxiety was temporary, or the fight with your partner didn’t feel terrible because you’ve been having the same fight for most of the time you’ve been together. 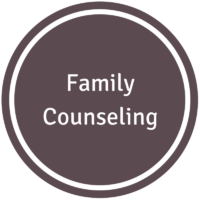 Finding a counselor can be a daunting task. Do you just pick a random person off a list? Do you just call the first person you find? It’s a very private and personal thing to talk to someone about your pain. Even though you feel stuck at the moment, there are options for you here.